Wondering how to incorporate science, technology, engineering, and math PLUS collaboration, critical thinking, problem solving, and digital literacy into the curriculum? You can do it with project-based learning. The book presents 12 units that require students to think critically and to be proactive in their own education. Meanwhile, the teacher can continually assess what is being learned and make any necessary adjustments. This book actually makes learning fun—while meeting important curriculum requirements! Boy, I'm glad my cursor slipped and scrolled down to the reviews. I was about to buy the book, thinking it was what you guys say it's not. Not really projects, more just graphing. Was disappointed. Yes, this is a good product! The first reviewer slammed this item. However, if you read TCR's explanation, you will find that the intention of this product is a worthy one; especially for younger learners who don't necessarily have broad, deep critical thinking skills and vast background knowledge...yet. 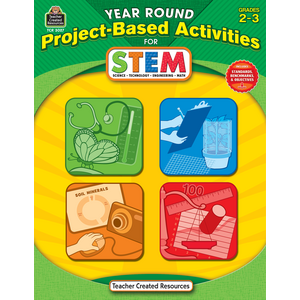 It is a great guide for science related projects, and if the activity is not STEM enough for you, you can easily supplement. My class has engaged in interesting discussion and have generated questions that have taken them beyond the scope of the activities. I think this product is useful for elementary science! STEM needs to be inquiry, problem based learning for kids. Just because an activity integrates more than one "genre" of learning does not make it STEM. These are just step by step science experiments. No different than has always been done. It is sad that a company like Teacher Created Resources would support a product like this. It is similar to all the "Common Core" aligned material out there that didn't really change to meet the new high standards of the Common Core (Evidence Based Close Reading and Deep Understanding of Number Sense and Real Life Problem Solving Skills in Math) - they just put new correlations on each lesson. For many teachers, Science, Technology, and Engineering have not been high on the priority list in the past decade. The emphasis has been on reading and math. 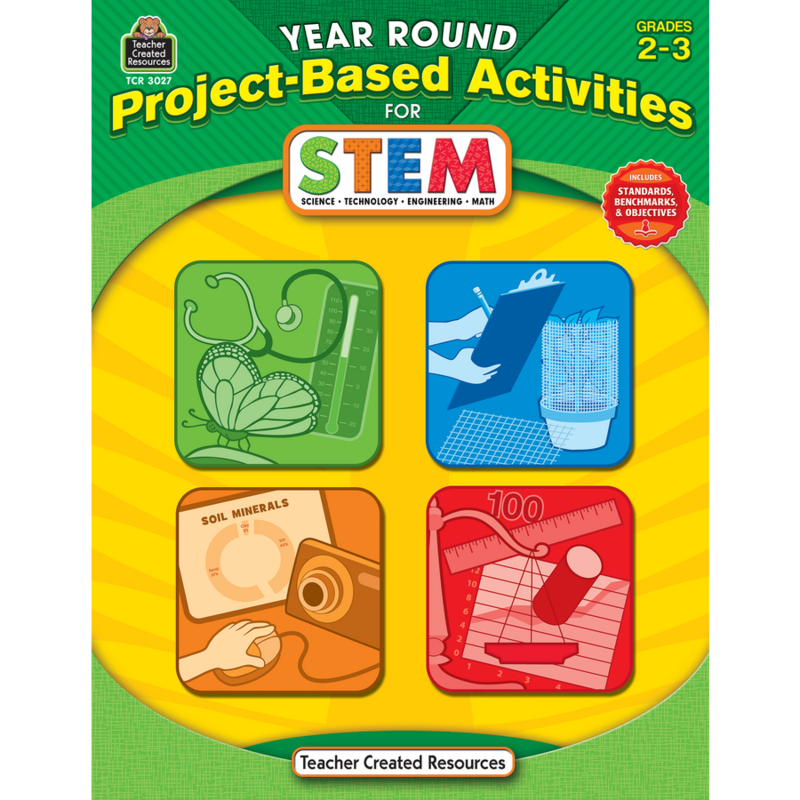 The TCR STEM series was developed to help teachers transition from “teaching to the test” to guiding students to think more critically, and learn-by-doing—important 21st century skills. The emphasis on science activities in the 1-2 and 2-3 books was intentional. It is important to bring science back to all classrooms. Reading and math are integral to science. 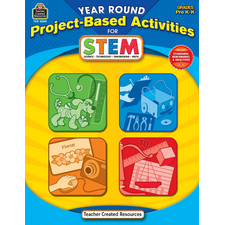 The goal of the series was to demonstrate how a STEM-focused approach could be worked into the curriculum by breaking activities down into manageable, step-by-step activities. 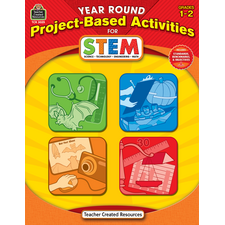 By adding the strong technology component to the Grades 2-3 book, it was our hope that teachers would feel more comfortable embracing STEM, especially those educators less comfortable “teaching” science and using technology as a tool to convey the data discovered. Aligning CCSS standards to the state standards provided was not the driving force of the series. It was hoped that teachers would make use of the standards required by their districts and tailor their units accordingly. © 2019 Teacher Created Resources. All Rights Reserved.